For my daughter’s birthday party last year, we did a Sugar Rush (Wreck-it Ralph) theme — more on that later! — and wanted to to incorporate the theme into the games and activities. 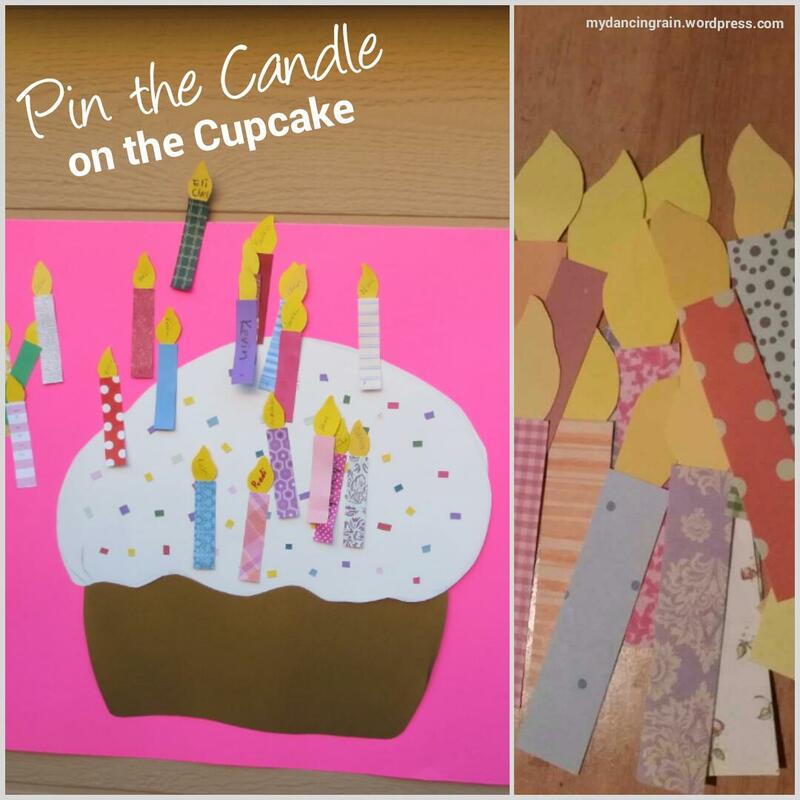 My husband and I — yes, you read that right — created this easy DIY Pin the Candle on the Cupcake game to tie in to the theme. We thought it would be fun for kids and adults alike to take part in this one, so we made sure to have lots of extra candles on hand. My husband was in charge of making the cupcake. He cut out the cupcake holder and cupcake top using gold and white poster board, and then he glued them onto a pink poster board. He glued small scraps of various colored paper to the cupcake top to make sprinkles. I was in charge of the candles. To make them, I got various solid and patterned paper scraps from my stash and cut them in 4 in. x 1 in. rectangles. Then I used my scraps of gold and yellow to cut the flames. I drew a flame shape on one sheet and cut multiple sheets at once to help save time. I used a glue stick to affix the flames to the candlesticks. There you have it: A fun, easy game for a sweets-themed party or any birthday party! It was a hit at my daughter’s party, and even the adults wanted to have a round trying it!